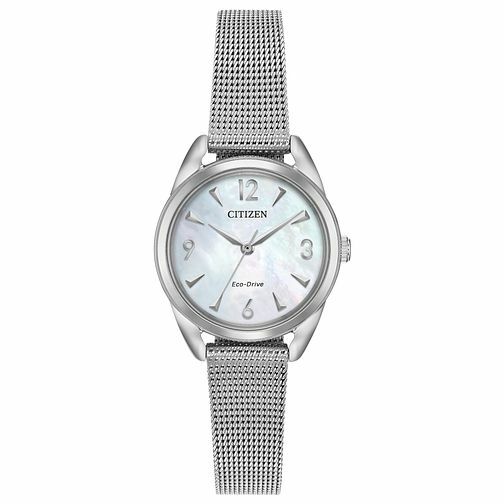 As part of the Long Term Relationship collection, this Citizen ladies' timepiece exudes femininity. A pure white mother of pearl dial is boasted within a stainless steel case, and upon a chic stainless steel mesh bracelet. Silver tone hour markings compliment this design with three co-ordinating hands. Featuring Citizen's award-winning Eco-Drive technology which harnesses both natural and artificial light and converts it into energy to power the watch, this watch never needs a battery.